A highly detailed LiDAR topographic image helps ISU professor Glenn Thackray discover a previously unknown active earthquake fault in Idaho’s Sawtooth Range, about 65 miles from Boise. 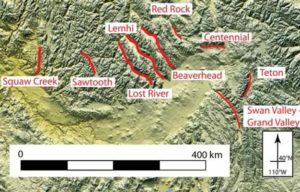 While looking at a highly detailed new topographic image of Idaho’s Sawtooth Range, Idaho State University geosciences professor Glenn Thackray had an “eureka moment” when he discovered a previously unknown active earthquake fault about 65 miles, as the crow flies, from Boise. ISU researchers estimate the fault has been active twice in the last 10,000 years, about 4,100 and 7,000 years ago. The researchers examined a Light Detection and Ranging (LIDAR) image. LIDAR is a remote sensing system used to collect topographic data with aircraft-mounted lasers capable of recording elevation measurements at a rate of 25,000 pulses per second and can have a vertical precision of about six inches. The images can be displayed so they don’t show an area’s vegetation. Four years ago while doing some research on glaciers in the Sawtooth Range, Thackray was examining a high-resolution, “bare-earth” LIDAR image of the mountains: this is when he noticed a line running through the image in the vicinity of Redfish Lake. Since that time, ISU researchers have been on the ground documenting the fault that is at least 25 miles long and could be as long as 40 miles. It is located on the eastern edge of the range and comes within about five miles from the town of Stanley. A portion of it runs through the upper end of Redfish Lake. It runs along the range approximately from near Stanley Lake to at least as far south as Petitt Lake. Thackray emphasized that the fault is cause for concern, but not alarm, for visitors to and residents of the Stanley-Sawtooth area, and to the residents of the Wood River or Boise valleys. The discovery may have implications for land-use and emergency planning, and perhaps building codes. Depending on the magnitude of a potential earthquake, it could do damage to surrounding areas. There are few major, active faults in Idaho. 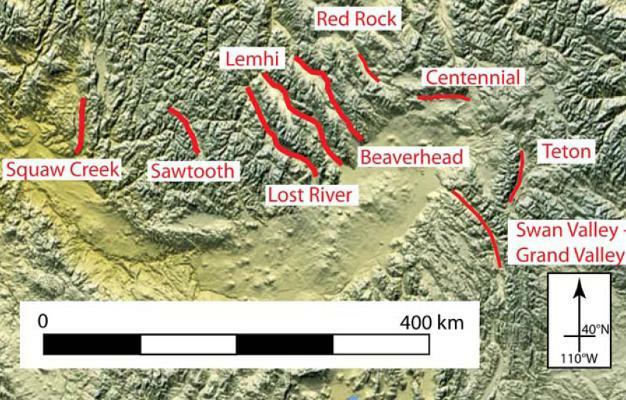 Idaho’s three other major faults run along the base of the Lost River Range (where the famous Borah Peak magnitude 7.3 earthquake, the largest ever recorded in Idaho, occurred in 1983), the Lemhi Range and the Beaverhead Range. Faults are break in the earth’s crust, along which rocks and the earth move. Typically, the earth is moving up on one side of the fault, and moving down on the other. “It’s the movement of the rocks that are important. That is what creates an earthquake hazard,” Thackray said. After discovering the fault on the LIDAR image and then confirming its existence on the ground, ISU researchers had to determine whether it was an active fault, defined as a fault that has featured an earthquake within the last 10,000 years. Determining whether the fault was active was a challenge for the researchers because most of the fault is located within the Sawtooth Wilderness and Recreation Area. This is where a little luck and scientific serendipity came into play. Other ISU researchers, biological sciences professor Bruce Finney, postdoctoral researcher Mark Shapley, and ISU geosciences graduate student Eric Johnson, were doing lake sediment core sampling of lakes in the Sawtooths, including Redfish Lake, to study the historical record of sockeye salmon returning to the area. While drilling through the sediment in the upper portion of Redfish Lake the researchers hit levels where there were landslide deposits interrupted the regular accumulation of sediment deposits. “We were able to date the occurrence of the most recent fault activity by using those drilling samples from the large landslides in Redfish Lake,” Thackray said. “There is a lot that we still don’t know about this fault, but our studies have revealed the outline of its history,” he added. Related Publication: Thackray GD, Rodgers DW, Streutker D. Holocene scarp on the Sawtooth fault, central Idaho, USA, documented through lidar topographic analysis. Geology. 2013.